If you’re planning to move interstate and need a reliable removalist to handle your valuable furniture and possessions, look no further than Transcorp Removals & Storage. 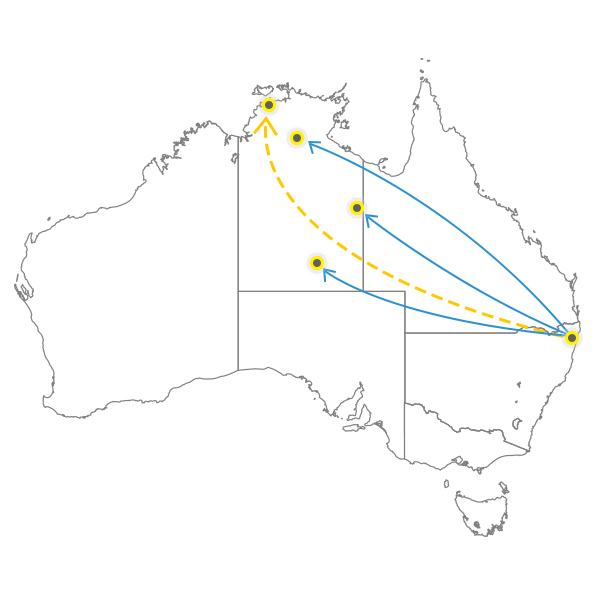 We offer cost-effective backloading from the Gold Coast to Darwin that will save you time and money. Our assistance will help ensure that you tackle the challenging process of moving interstate in a methodical and stress-free manner. At Transcorp Removals & Storage, we boast over 25 years of experience in backloading from the Gold Coast to Darwin as well as offering other removalist services. We have developed a strong reputation for delivering superior removalist services that treat your belongings as if they were our own. You can rely on Transcorp Removals & Storage to provide the backloading from Gold Coast to Darwin you need for interstate relocations. Contact us, obtain a quote or book online today.